Tell Cortana about yourself so she can search better for you. Teach Hello what you look like for instant logins. These services are useful--if you give them your data. Your personal data: That’s what Windows 10’s Hello and Cortana features need to help you, assuming you’re comfortable with that. To be fair, it’s nothing new—plenty of apps and services ask for your preferences, location, etc., to serve you better. Windows Insiders who opted in to the Windows 10 Technical Previews have already given Microsoft quite a bit of carte blanche in the spirit of improving its services. But Windows 10’s efforts to get to know you—and tie you into its services—will be a new experience for those of you upgrading or buying new Windows 10 PCs. The Hello authentication feature and the Cortana digital assistant are particularly inquisitive, seeking to know your face and your preferences in detail. Windows Hello isn’t an issue for most of us, however, because its required camera technology will only be found in new PCs, and a very limited number of them. Microsoft’s digital assistant, Cortana, will be more ubiquitous, especially if you use her to help answer questions and perform simple tasks. 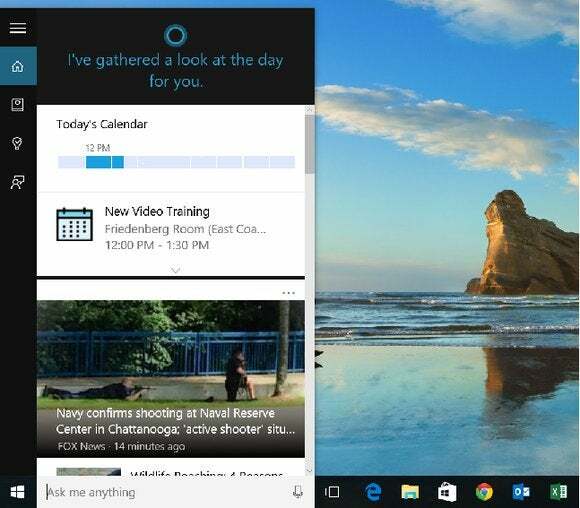 Here’s what to expect from Cortana and Hello if you use them in Windows 10. One of the first things Microsoft would like you to do after turning on your new Windows 10 PC is to set up Cortana, Microsoft’s digital assistant. Cortana can be a valuable assistant, answering quick questions—either spoken or typed—and setting reminders, playing music, and a host of other tasks. 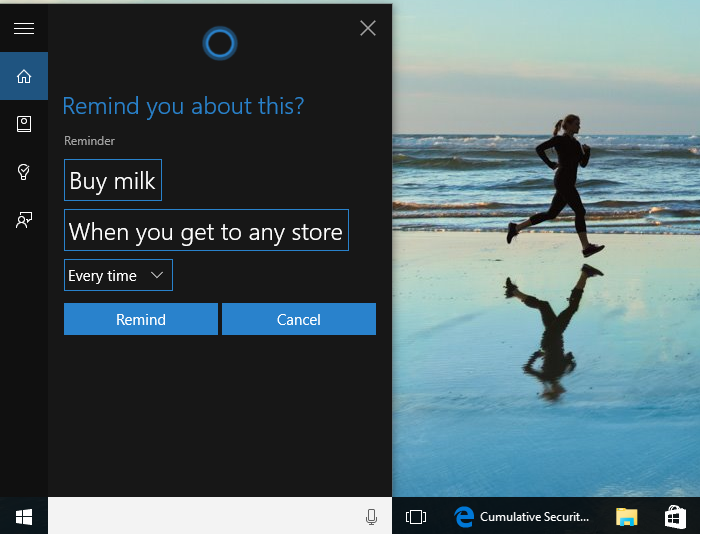 Cortana can set reminders and answer factual questions. Microsoft portrays all this data-gathering as beneficial. For example, any favorite teams you specify in the MSN Sports app will be showcased in the Cortana summary screen. Some benefits are less obvious: Choosing to sign into Facebook within Cortana allows Microsoft to access certain Facebook information so that Cortana and Bing can give you more personalized recommendations, according to Microsoft. How do you keep track of Cortana? A couple of ways. First, you can use the Notebook within Cortana to specify what you’d like to see. Click the Cortana “Ask me anything” bar, then the Notebook icon (the little square with a hole through it, three icons down). This allows you to pick your favorite activities. To erase all the information that Cortana knows about you, visit the Bing account personalization page and start tapping the “Clear” button in various categories. You should also visit the Microsoft privacy dashboard. Finally, to turn off Cortana, go to the Cortana page, click the Notebook, then Settings. The first menu option is a toggle switch to remove Cortana entirely. 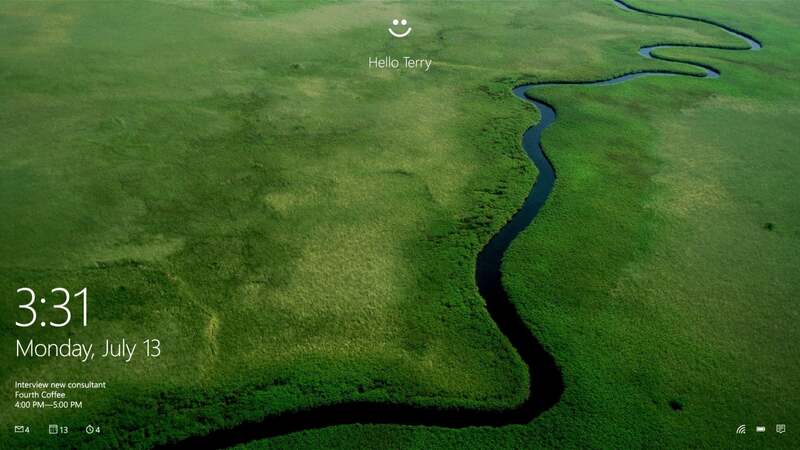 Windows Hello is a minor factor at Windows 10’s launch, given the relatively small number of PCs using it. But little has been written about how it works. Hello uses special depth cameras to illuminate your face, specifically, the Intel RealSense cameras that we tried out earlier this year. Microsoft has demonstrated the technology at public events: Users can simply walk up to a PC and wait a second or so for their face to be recognized. Here’s where it gets a little tricky. If you lock your PC and walk away from it (or it locks automatically after a certain period of sitting unattended) the Hello depth camera will constantly scan the room. Hello isn’t a privacy risk, per se, but rather a different way of interacting with your PC, with the new idea that it’s actually watching you—or rather, watching for you. If any of this worries you, you can turn off Hello. The easiest way is to go into the Start menu, enter the Settings, then type in “Hello” into the search box. You’ll probably be directed to a screen where you can set up your Windows login information, including Hello. Microsoft has already weathered a period where gamers worried that the Xbox One’s Kinect camera would be snapping pictures of them in their underwear. Now it’s the PC’s turn. 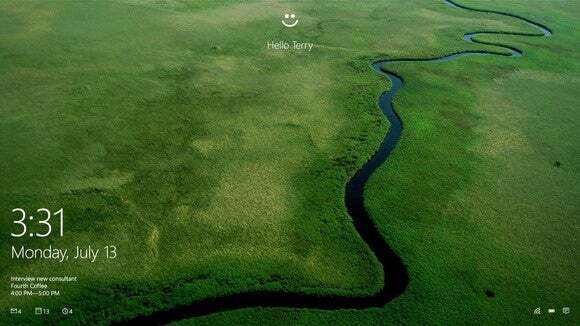 When it comes to privacy, Windows Hello and Cortana just scratch the surface of the information you’re providing to Microsoft. Check out the rest of the privacy statement for more.